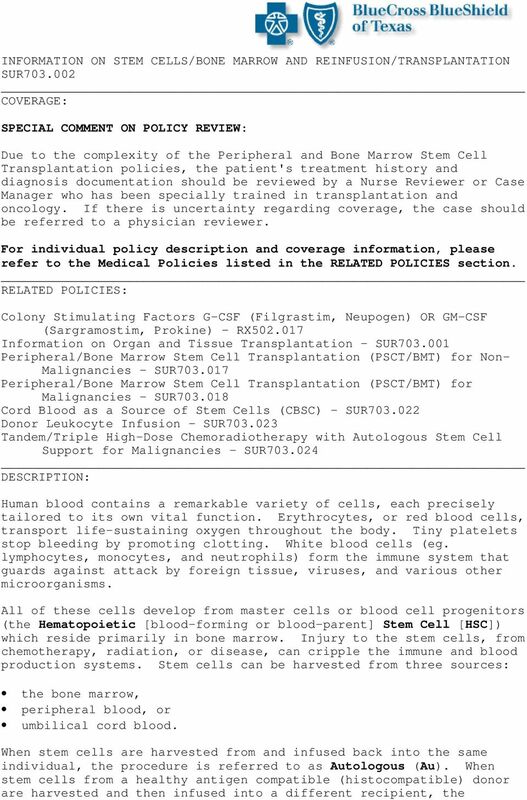 Download "INFORMATION ON STEM CELLS/BONE MARROW AND REINFUSION/TRANSPLANTATION SUR703.002"
2 procedure is referred to as Allogeneic (Allo). Syngeneic stem cels refer to genetically identical bone marrow or peripheral stem cells harvested from an identical twin. Syngeneic transplants are obviously limited by the rarity of identical twins. These procedures are, also known as: Hematopoietic Stem Cell Support (HSCS or SCS), Peripheral Stem Cell Transplantation (PSCT), Stem Cell Rescue (previously referred to as Transplant), or Bone Marrow Transplantation (BMT). Stem cells are the main ingredient in BMTs. The stem cells in the transplanted marrow can reestablish the patient's blood-producing and immune systems, which have been devastated by leukemia, cancer, chemotherapy, radiation therapy, or unknown causes. The transplant procedure itself is simple. If the patient is not self-donating his/her bone marrow, it is obtained from a donor individual and is known as Allogeneic Bone Marrow Transplantation (AlloBMT). The bone marrow is aspirated from the iliac crests of the pelvis of: a related or unrelated donor who is human lymphocyte antigen (HLA) compatible (allogeneic), or a related donor who is HLA-identical (syngeneic). If the patient is self-donating his/her bone marrow, known as Autologous Bone Marrow Transplantation (AuBMT), the bone marrow is removed from the iliac crests of the pelvis when a complete remission has been induced. The patient is then given High Dose Chemotherapy (HDC) with the hope of destroying any residual tumor. HDC is a regimen of cytoxic agents that are several times higher than the standard therapeutic dose. This is done to treat malignancy but it may also ablate the patient's bone marrow. The rationale for HDC is that many cytotoxic agents act according to a steep dose-response curve. Therefore, small, increasing doses of the cytotoxic agent will result in large increases of the tumor cell kill. In addition, the increasing doses increase the incidence and severity of adverse effects, such as opportunistic infections, hemorrhage, and organ failure. Since the life-threatening toxicity is so high, patients are usually hospitalized for the HDC regimen and may require further hospitalization to treat the drug toxicity effects. In some regimens to eradicate the tumor cells, whole body or localized radiotherapy may be given with the HDC agents, known as chemoradiotherapy. A subsequent rescue with the patient's own bone marrow or the donated allogeneic or syngeneic bone marrow follows the HDC. 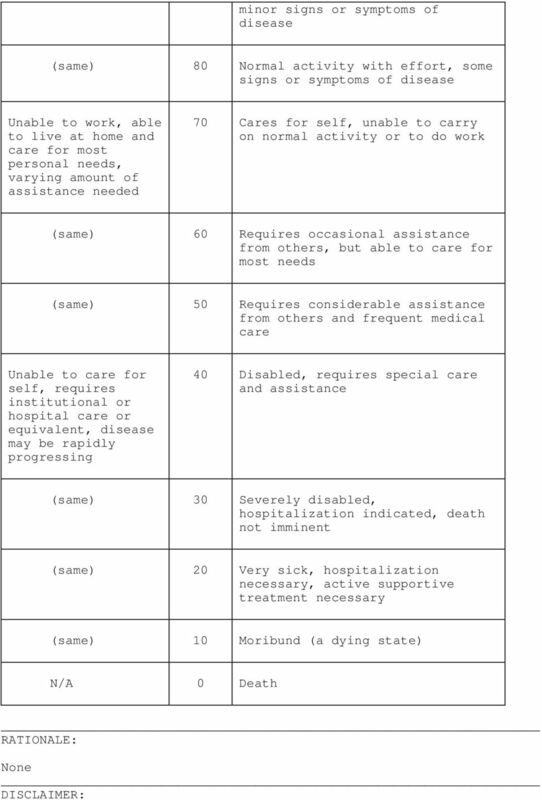 BMTs present numerous medical hurdles. The patient must receive a steady supply of fresh red cells, platelets, and antibiotics for several weeks until the transplanted stem cells begin producing large quantities of mature blood elements. In an AlloBMT, the patient's immune system must be sufficiently suppressed so that it will not reject the transplanted stem cells. At the same time, the immune system cells produced by the donor stem cells may recognize their new host as foreign, a reaction known as Graft Versus Host Disease (GVHD), in which case they may cause organ damage and/or death. AuBMT eliminates the need to find a compatible marrow donor and bypasses the risk of GVHD. Infosheet. Allogeneic stem cell transplantation in myeloma. 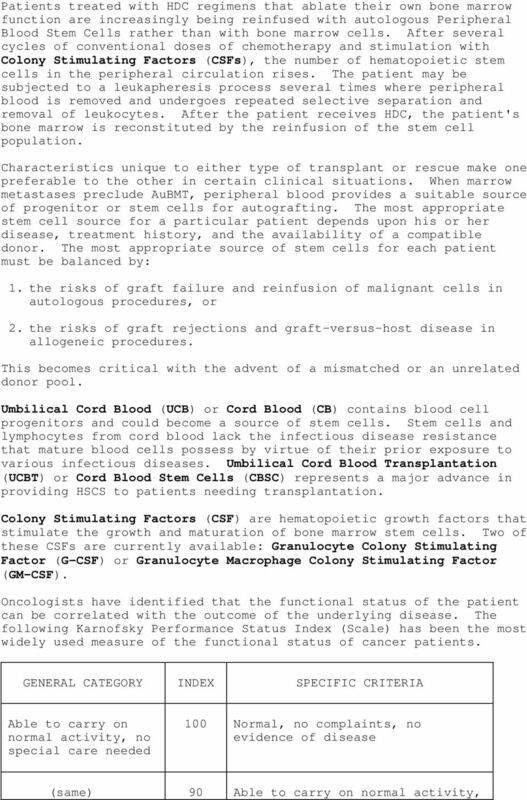 What is the principle behind stem cell transplantation? 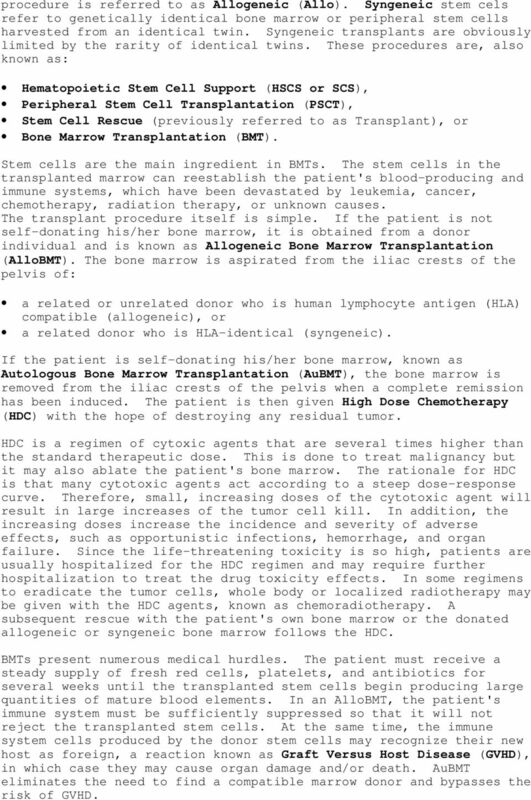 Infosheet Allogeneic stem cell transplantation in myeloma High-dose therapy and autologous stem cell transplantation is currently the first-line treatment standard of care for younger/fitter myeloma patients. Current Issues in Stem Cell Technologies. Lance D. Trainor, MD OneBlood, Inc.
Donating stem cells. What s involved? storage and handling of unused stem cell products Swiss consensus? TRANSPLANT BASICS Understanding transplant and how it works Thuy, transplant recipient AT EVERY STEP, WE ARE HERE TO HELP As you journey through transplant, you re not alone. Be The Match is ready to help.